The aesthetic appeal of sash windows is what makes them a favourite for homeowners with traditional looking properties. Sash windows are also called hung sash windows and are formed from a number of movable panels which create the frame. Combined with uPVC frames, sash windows will have the durability and weather resistance to last well for years with little maintenance required. uPVC sash windows can be opened either horizontally or vertically giving you complete control of the style. The design is often seen in Victorian properties and can be made to fit any size necessary. If you want to make your home stand out from the crowd, uPVC sash windows could be right for you. With coloured uPVC you can resemble the look of wood without the associated costs, making the installation aesthetically appealing. Cut your home’s carbon footprint. Carbon is a main contributor to global warming and installing new windows will help you reduce emissions. This will make your property environmentally friendly and help to meet Government 2020 targets too. With uPVC sash windows you’ll be able to create a stunning effect for your home, which goes particularly well with traditional homes. 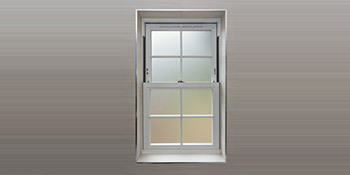 For up to four FREE uPVC sash window quotes, complete our quick form and hear from local, vetted and reputable companies. Project: how much is it for a new window installing? The below data demonstrates the energy performance of houses in Uk. Energy ratings range from A to G, with A being the most energy-efficient and G being the very least efficient. The Energy Performance Certificate (EPC) rating comes into play heavily when attempting to sell your household, as possible buyers will see just how much they're likely to be paying for their home heating expenses. Home improvements such as insulation help to substantially boost a home's EPC rating. There are many types of property in the United Kingdom and the info beneath highlights the type of homes in Uk. Throughout the country the most common housing types tend to be semi-detached and terraced housing, yet detached homes, flats and bungalows are also available. The information below offers an indication to the number of properties in Uk that are central heated and non-central heated. Houses are heated by a number of sources which indicate how expensive annual energy bills will be. Types of central heating include gas, electricity, oil, solid fuel and LPG boilers. Changing the way in which your property is heated can see you with cheaper bills. The information below reveals the spread of houses warmed by different fuels. Around the United Kingdom the most common by far are gas heated houses, followed by electricity and then oil. Biomass boilers are also increasing in popularity, heated by environmentally friendly products including wood pellets or agricultural waste.|Properties in the UK are warmed by a variety of fuels, such as gas, electricity, oil, solid fuel and LPG boilers. Each fuel has a varying cost associated with it which means you can find yourself with cheaper energy bills by altering the way your home is heated. Even solar thermal panels are being considered by many people in order to lower heating bills for the years to come.